Dan and Emily are both in love with adventures and of course each other. According to Emily they both love exploring the DC area as well travelling abroad together. 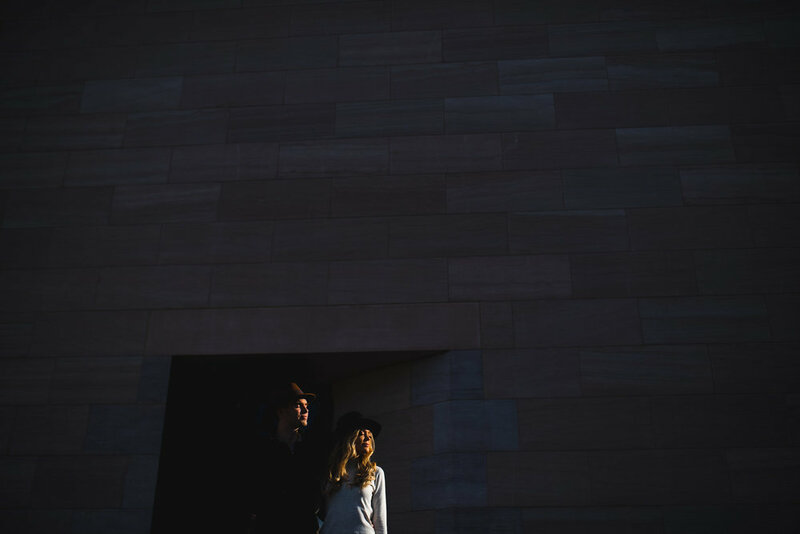 Before the engagement session which we took in the National Gallery of Art (and close to this awesome gallery) the couple went to the random alpaca farm in Maryland and as they both said – had a lot of fun. They’ve traveled to Turkey and Ireland together and of course have many upcoming dreams and trips. The main thing – they’ve decided to go for the journey of life together and I’m happy they’ve invited me to capture this big occasion for both of them on one beautiful sunny autumn day. Don’t hesitate twice to contact me if you want to get photo session for any occasion of yours. It can be taken in any place of the world, believe me I will be glad to help you all the ways that I can! National Gallery of Art, Washington, D.C. is not only the great place to explore for more and get cool inspirations but as well a great place to make any kind of creative sessions as there are plenty of awesome angles to make best pictures ever!